Are you ready for 2012? Okay that’s a silly question since it’s already here but I final finished up our pretty free 2012 printable calander – with text areas you can edit yourself. You simply type in the events for each day – up to five line and save it to your computer or print it out to hang on the wall. I hope 2012 brings lots of love and prosperity your way, enjoy! Looking for the 2013 version? Made by 505 Design+Paperie and customized by you. Hi! Thank you for this! I’m using it in a home management binder I’m geeking out on right now! 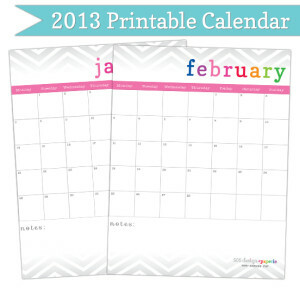 Are you putting out a 2013 calendar of this same type? I LOVE your calenders! Will you be doing a 2013 version?!!! Will you be making one for 2013? I’d love to have one and I just found your offer. MERRY CHRISTMAS and a very Blessed New Year! Ohhhh do you have this for 2013? I would love to use this 🙂 Thanks! 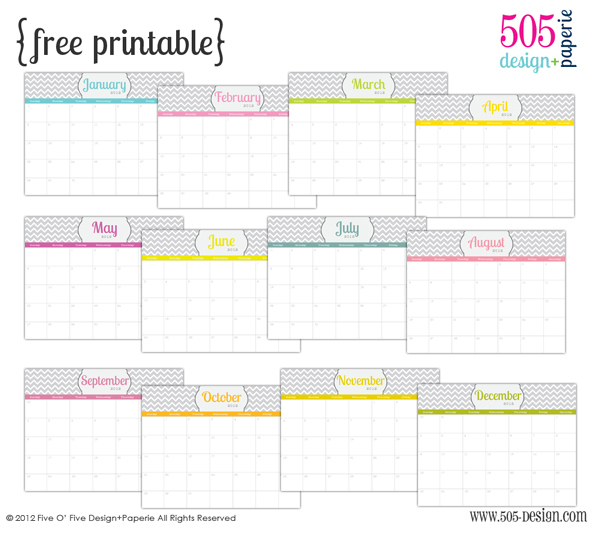 Are you going to post a free printable calendar for 2013? Thank you! Do you have any 2014 calendars to download? Thank you! I do actually have a 2014 version. Here is the link. Thanks!